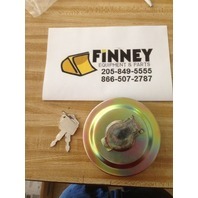 You are bidding on a NEW KOBELCO EXCAVATOR Locking Fuel Cap, with 2 keys. The part number for this cap is YN20P01034P1 and YN20P01034P2. Fits models: SK160, SK250, SK330, and 90 Series Excavators ACERA models. As high as fuel is at the moment you are going to need more than just a rag in your fuel fill. Anyone who has lost one of these on a job site knows how handy it would be to have a spare to keep dirt and dust out of your fuel tank. Also it helps protect against vandalisom. But don't worry about the price, you'll be getting exactly what you need at a fraction of the cost. 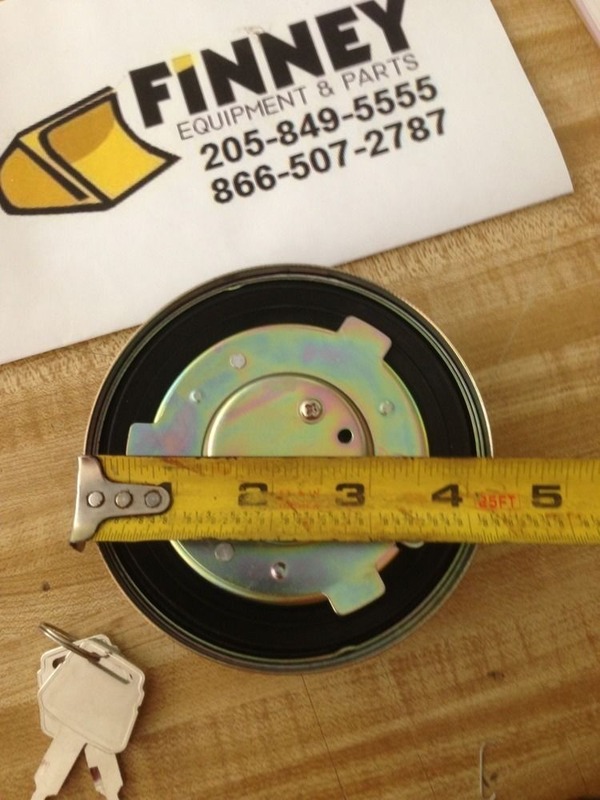 At your local Kobelco dealer this fuel cap is going for $85.00 plus shipping costs, and our price is only $44.95. Also instead of waiting weeks for Kobelco to ship your order, we'll send it out right away. THOUGH WE HAVE FIRST QUALITY FUEL CAPS, WE DO NOT MAKE OUR LIVING SELLING FUEL CAPS. BUT WE DO WANT YOUR BUSINESS! WE WORK EVERY DAY TO SAVE OUR CUSTOMERS MONEY ON THEIR HEAVY EQUIPMENT NEEDS. WE SPECIALIZE IN CATERPILLAR, JOHN DEERE / HITACHI, KOMATSU AND CASE. 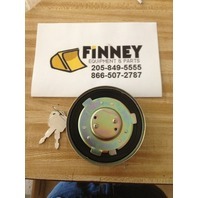 HOWEVER, WE SELL PARTS EVERY DAY FOR THESE AND MANY OTHER BRANDS. 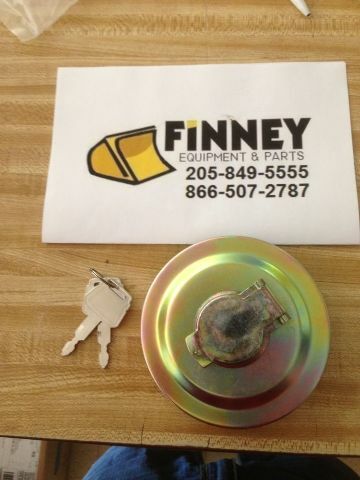 WE HAVE THE PARTS AND THE KNOW HOW TO HELP YOU GET BACK UP AND RUNNING...QUICKLY, EFFIENTLY AND COST EFFECTIVELY. IF YOU PREFER, WE OFFER A FULL LINE OF KOBELCO PARTS AT PRICES LOWER THAN YOUR LOCAL DEALER. YOU HAVE A FRIEND IN THE PARTS BUSINESS. SO THANK YOU FOR YOUR INTEREST AND WE HOPE TO HEAR FROM YOU ! TERMS: WE EXPECT PAYMENT WITHIN 7 DAYS. IF MAILING PAYMENT, KINDLY ADVISE THAT YOU ARE SENDING PAYMENT, METHOD AND WHEN TO EXPECT IT. NON PAYING BIDDERS WILL BE REPORTED W/ NEGATIVE FEEDBACK AND ITEM RELISTED. SHIPPING OPTIONS ARE LISTED. 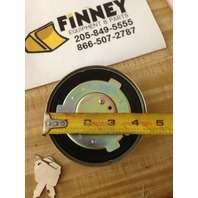 WE DO COMBINE AUCTIONS AND CAN QUOTE SHIPPING TO YOU BASED ON YOUR ENTIRE PURCHASE. WE MUST COLLECT SALES TAX FOR ITEMS DELIVERED TO THE STATE OF ALABAMA. 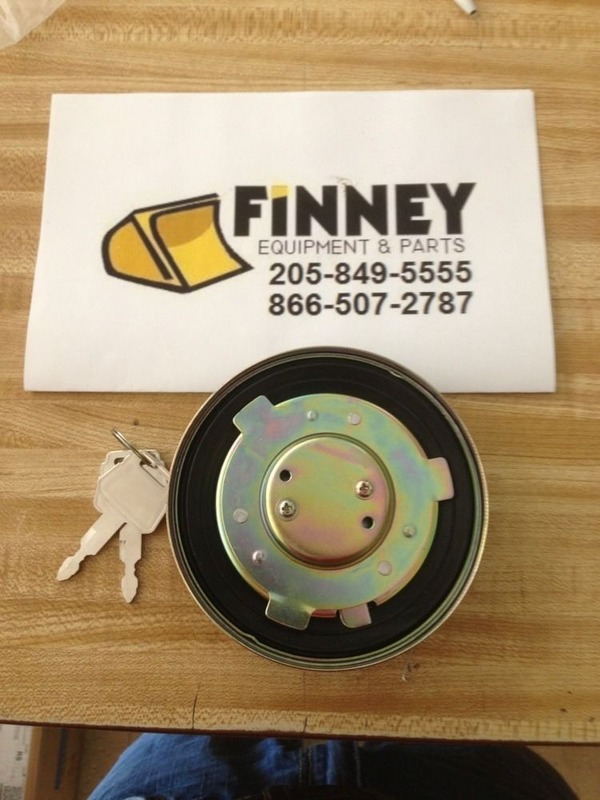 Call us for your parts needs for any HEAVY EQUIPMENT...all brands. Freight Discounts of 60% or more. We will save you money. We supply many discontinued parts. Networked with over 750 dealers. Let us give you the option to save money! If we don’t have it, we can find it!